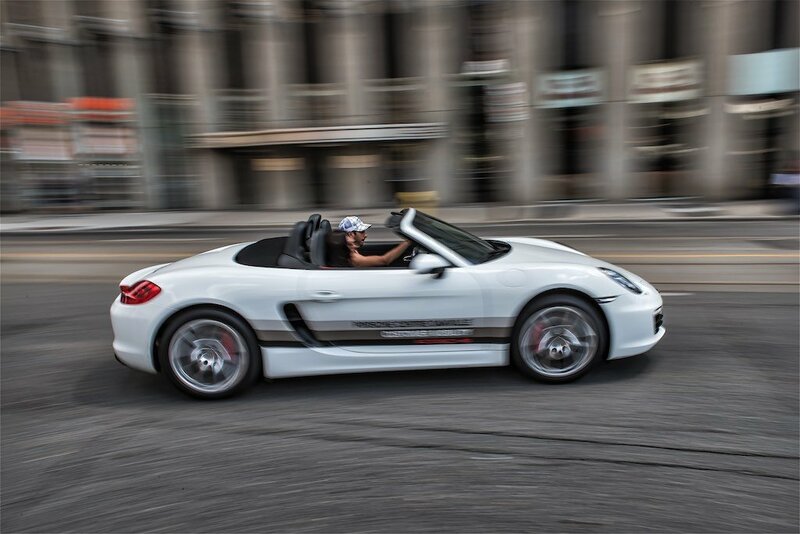 Panning Photography allows you to take some special effects shots with virtually all cameras by setting your camera manually with settings and tracking techniques which are very simple. 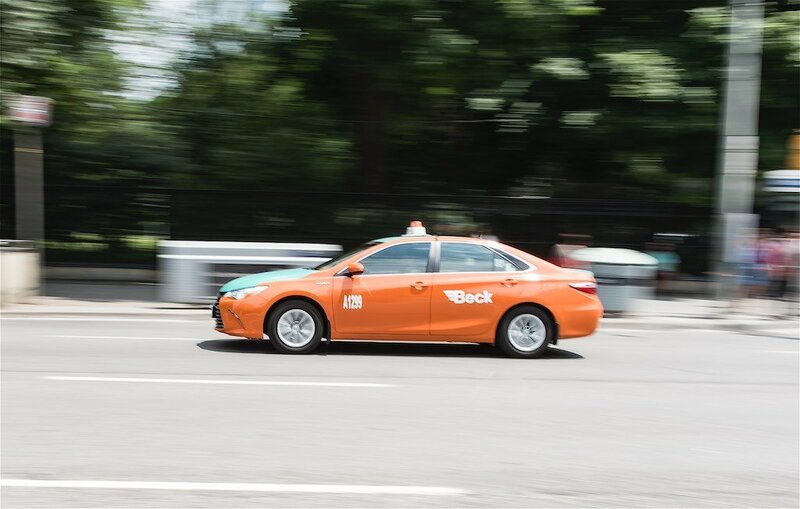 This article will give you some basic tips to accomplish your panning techniques. 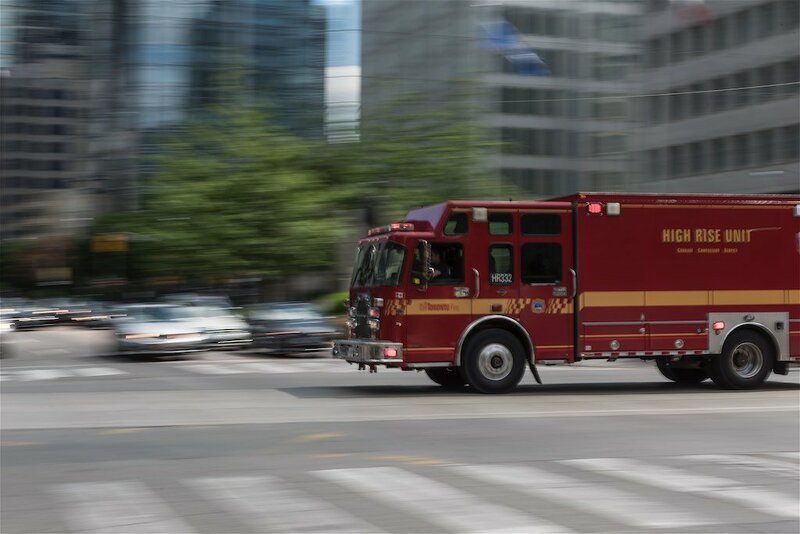 The concept of panning a shot is simply adjusting your camera to manual settings and moving along (your camera horizontally from right to left) with the fast moving subject in focus. As the photographer, you have to be positioned in a stationary spot and use a monopod to stabilize the camera. I have not used either a monopod or tripod in these shots but will on future attempts. Remember to slightly adjust these settings depending if lighting conditions are sunny or cloudy (i.e. ISO). 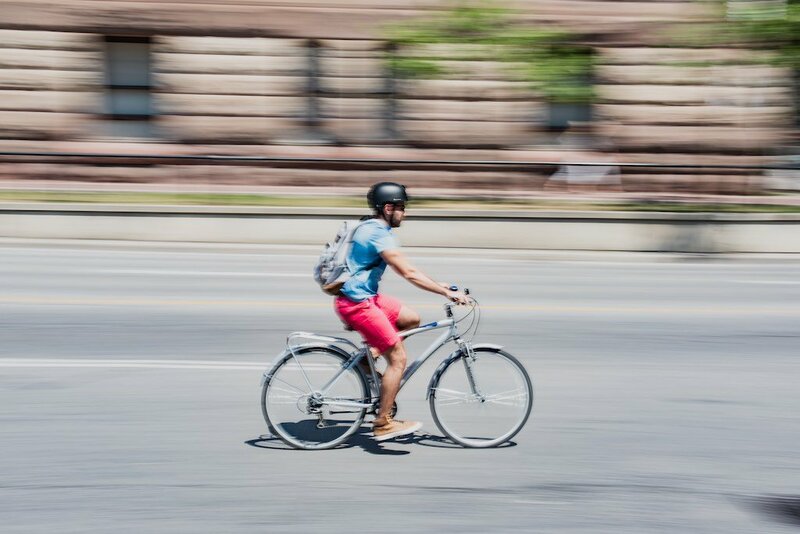 The purpose of panning photography is to get a special effect of blurring the background, focusing on the subject and a concept of speed and motion. Adjust your camera settings as described above and focus/pan along with the subject to get the desired effect. I hope some of these suggestions of panning photography have been helpful. If you need any other help, or can suggest additional tips, please let me know by commenting on my blog. 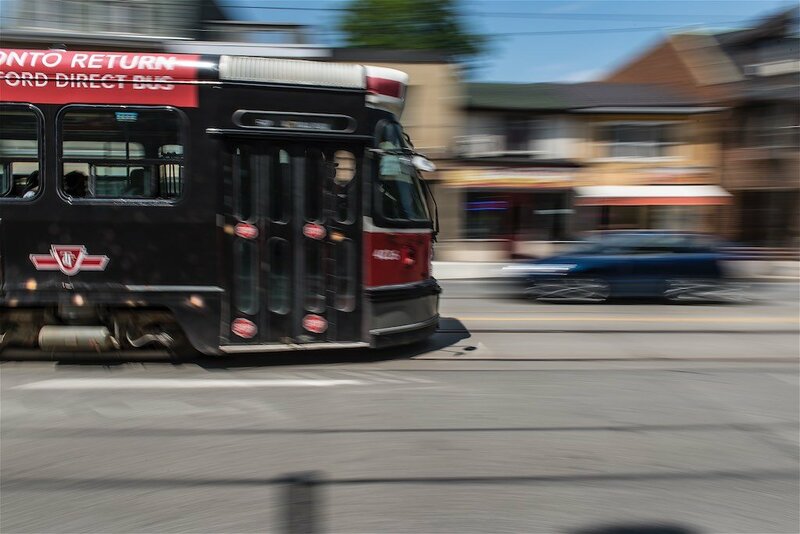 This entry was posted in Architecture, Long Exposure Photography, Panning Photography, photography, streetcar, Toronto and tagged continuous auto focus, focus, panning, Panning Photography, trick photography.